Christian baptisms are a curious sacrament. Baptism is one of two "outward signs of an inner reality" for Protestants, and one of seven for Roman Catholics. The Orthodox communion also recognizes seven, bye the way. Baptism is intended to be a profound mystery, as those who receive the grace of Christ are "drowned" to their old life and rise up into a new and eternal promise of salvation. Often though it is a convention, a fading ritual, and it some traditions it is predominantly infants who are baptized with an almost hydrophobic sprinkling of water rather than immersion. Through the decades of ministry I was frustrated by the unwillingness of parents and congregations to engage with the implications of baptism and the discipleship it represents. It's not an exaggeration to say that I hated being the agent of cheap grace where the sacrament became a pleasant reason for a family gathering rather than a powerful expression of faith. 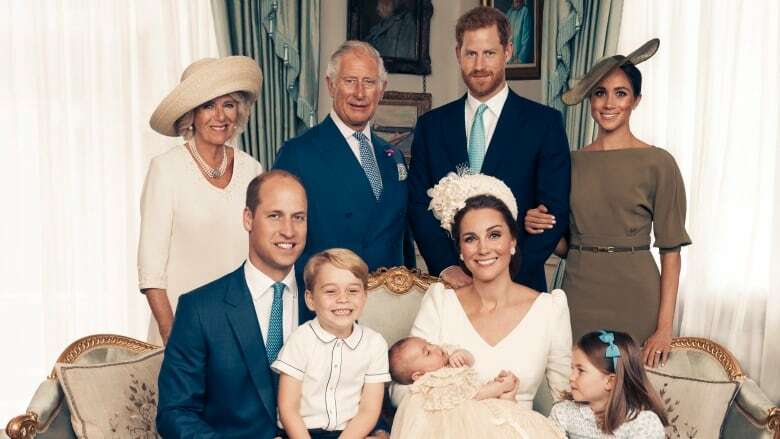 I wonder what the British royal family brought to the font, by way of faith, for the baptism of Prince Louis recently. There are now photos which are supposedly from the occasion, although not a one depicts the church, the baptismal font, nor a congregation which is welcoming the baby. It all feels rather stagey, from my perspective. To be fair, there may be a deep Christian commitment behind this, even though there is the rather weighty role of "defender of the faith" for William as once and future monarch. I attended a baptism ceremony recently by the waters of the Bay of Quinte. Our five-year-old grandson and a young girl from the congregation were baptized by son, Isaac, during their outdoor service. The mostly elderly congregation trundled down to water's edge for what was a lovely moment. As parents they responded to our grandson's curiosity and request for the sacrament. When it was over he asked if he might go for a swim, a request which was gently denied! God bless Louis and all who go down into the waters of baptism, symbolically or literally. Enjoy Alison Krause singing I Went Down to the River to Pray. I am always saddened when I see families coming to church only to be "hatched, matched, and dispatched"; at one such event at our church last summer, the grandfather of the child being baptized (the parents and the child were actually living in Florida, and had been for several months, but came back to the "Home" church - the one they rarely attended and maybe never supported financially - of that fact I am not sure...).... anyay, the grandfather came to me at lemonade time after the service and requested that I "work hard to keep this place open". I wanted to say "We can only keep it open if you come regularly and support us regularly with your time, talents and treasures" but instead I just replied, "We are doing our best". 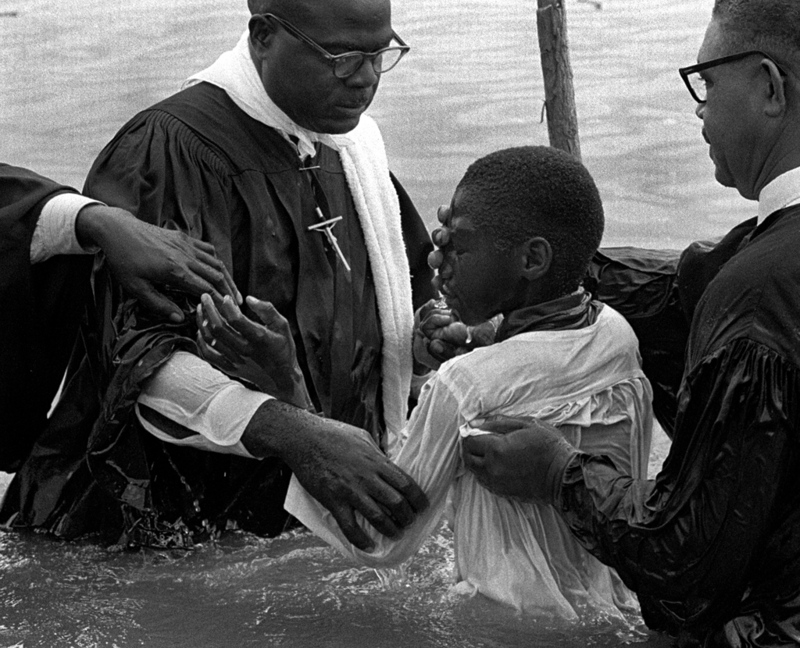 Sometimes I wonder why we allow this baptism rite to happen when we KNOW the folk will never show up to "be the church" along with us. I've heard similar comments through the years, as though the church building was a historical site for re-enactors to show up occasionally to recreate once-important rituals. The notion of a living, breathing, active-in-the-world community of Christ seems to have escaped them entirely. Perhaps if granddad had accompanied his remarks with a cheque for $10,000 you could have responded with an "Amen!" Thanks Judy.